You can expect many years and many miles of dependable use from your differential if it is assembled properly and if you use only top quality parts. It’s no different when your differential needs repair. 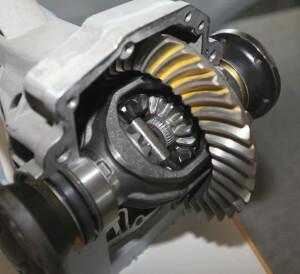 All of our expert technicians have years of experience, combined with the right tools and training to service your differential correctly the first time, every time. We stock the materials necessary for service on both foreign and domestic differentials, enabling us to quickly complete most of our jobs. We offer written estimates and stand behind our work. Call us today for an appointment and keep your vehicle running in optimal condition! Just stop into one of our three San Diego locations and let us help you with your automotive repair needs or Call Us (800) 562-7675!